eaw049320 ENGLAND (1953). Letchworth Bacon Co Ltd Curing Works and the Anglia Match Works, Letchworth Garden City, 1953. This image was marked by Aerofilms Ltd for photo editing. 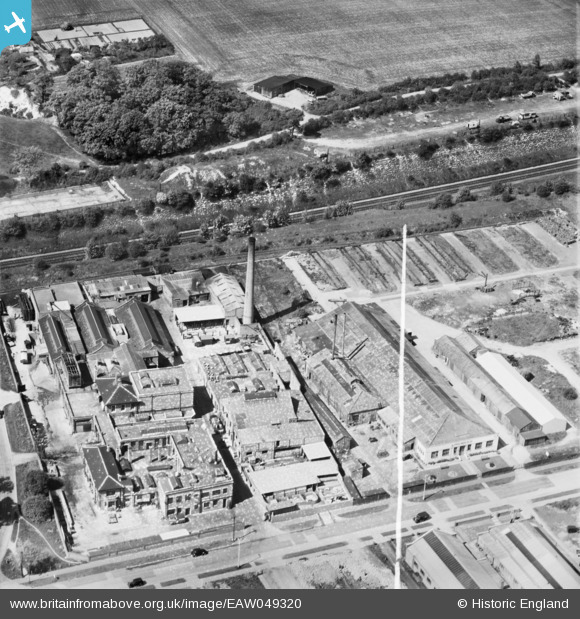 Title [EAW049320] Letchworth Bacon Co Ltd Curing Works and the Anglia Match Works, Letchworth Garden City, 1953. This image was marked by Aerofilms Ltd for photo editing.